The people of Pakistan and Azad Jammu and Kashmir observed ‘Kashmir Solidarity Day’ on Sunday, 5 Feb to reaffirm their support for the struggle of the people of India-held Kashmir for their right to self-determination pledged under several UN Security Council resolutions. 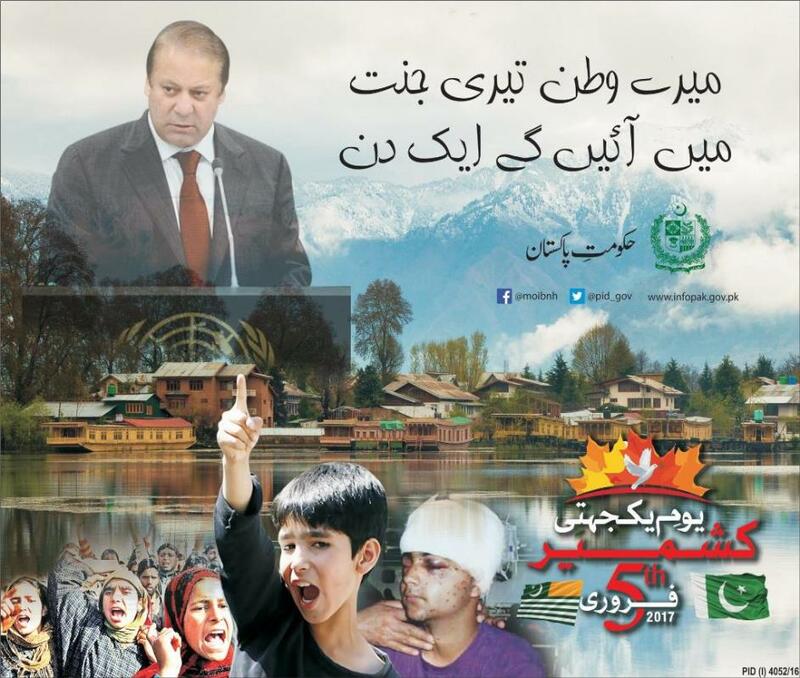 Pakistanis and Kashmiris have been observing the Kashmir Day every year on Feb 5 without any discontinuity since 1990. On Sunday, 5th Feb 2017, The High Commission for Pakistan Canberra in collaboration with Kashmir Council of Australia organized a Seminar in Sydney New South Wales, to commemorate the Kashmir Solidarity Day. Mrs. Robina Yasmin was MC of the Seminar. Programme was starts at 11am with reciting Quran by Molana Nazeerul Hasan Thanvi. Local singer Riaz Shah presents ISPR latest song paying rich tribute to Kashmiris. The song titled “Sangbaaz” meaning stone pelters is pictured using actual footage from Indian-held Kashmir. The powerful lyrics of the song describe the atrocities people of Kashmir face at the hands of Indian forces. and the High Commissioner for Pakistan Naela Chohan who specially travel from Canberra to attend this event. A number of panelists spoke of the genesis of Kashmir issue and its continuing impact on peace and stability in the region. They highlighted the human rights violations in Kashmir and called upon Australian Government to play its role to promote and protect the human rights of Kashmiri people. The High Commissioner, Naela Chohan in her concluding remarks emphasized the importance of peaceful resolution of this issue. She reiterated the commitment of the Government of Pakistan to a just and peaceful resolution of the Jammu and Kashmir dispute in accordance with the UN Security Council Resolutions. The High Commissioner Naela Chohan also read the Kashmir day exclusive message of the Prime Minister Mian Muhammad Nawaz Sharif. Dua’as was offered for the martyrs of Kashmir and for peaceful resolution of this long festering problem. On the sidelines of the Seminar, video on atrocities and human rights violations being committed by the occupying forces was shown. 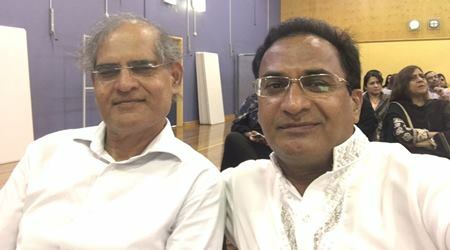 It was a very successful event which attracted a large audience including Parliamentarians, Politicians, Businessmen, Government officials, academia, intelligentsia, media and prominent members of Pakistan community living in Australia.